Deity of Jesus: Does Christ Possess Unique Characteristics of God? Do the Scriptures claim that Jesus possessed the unique characteristics of God? Has He existed eternally as the eternal Creator? Is He all-powerful (omnipotent), all-knowing (omniscient), and everywhere present (omnipresence). Is He unchanging (immutable) and infinitely holy and righteous? Note that some passages already studied make general claims which necessarily imply that Jesus possesses the qualities of Deity. He possesses all the fullness of Deity (Colossians 2:9). 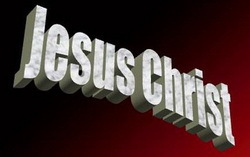 He is the very image of the Father (Hebrews 1:3), and had the form of God (Philippians 2:6). He also wears the unique names of God. It follows that He must possess the characteristics of God. Jeremiah 23:23,24 - God fills heaven and earth. He is at hand as well as afar off, so no one can hide that God cannot see Him. Click here to continue this study by considering the works of Deity done by Jesus.